On February 2 we pray especially for those men and women who have dedicated their lives to God through the vows of poverty, chastity and obedience in the religious life. 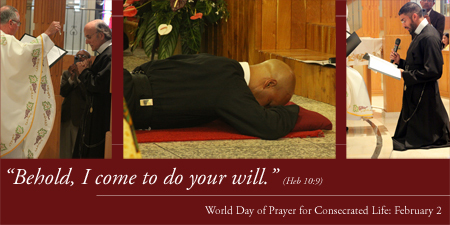 Please join us in praying for an increase in vocations to this special way of life in the Church. Click below to watch the vocation stories of Brother Bob Skinner and Deacon Alistair Elias.